The release has been made to mark the brand’s status as official timing partner for the forthcoming Aberdeen Asset Management Cowes Week sailing event that begins on Saturday. The Regatta is the first timepiece in the Boss Watches’ collection that has been designed with specific sailing technology. Amongst its components are a race-timing chronograph movement with functions including a countdown and an audible signal sounding every minute, enabling the vessel’s skipper to keep track of time during a race. Other notable features include a strap made from silicon rubber, a case designed in high-grade stainless steel, and a date display at 4 o’clock. The timepiece is water resistant to 10ATM. 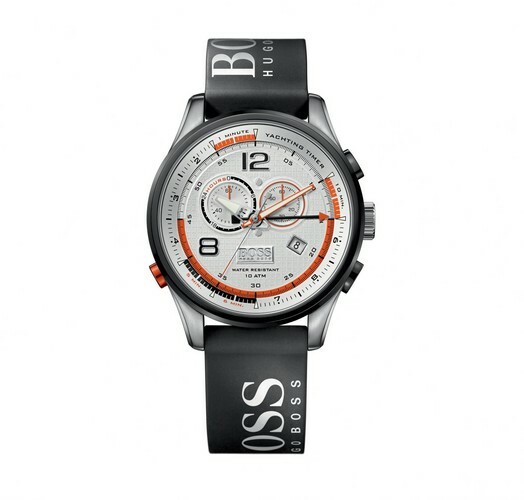 Sailing is a familiar territory for BOSS Watches, having been involved with the sport since 2003, through the sponsorship of renowned solo sailor Alex Thomson, the youngest skipper to ever win a Round-the-World race. Mr Thomson will be sailing in the Artemis Challenge at Cowes this year, as well as entertaining guests and celebrities on board the boat, including British actor Ewan McGregor. Since its inauguration in 1826, Cowes Week has become one of the UK’s longest running and most successful sporting events, staging up to 40 daily races for around 1,000 boats, making it the largest sailing regatta of its kind in the world. 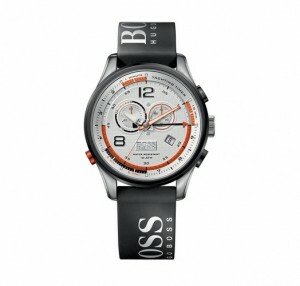 This entry was posted in Authentic, Boss, Watch, wrist watch and tagged boss, regatta, timepiece, watches. Bookmark the permalink.